but there was no way I was going to pay some of the ridiculous prices I've seen. having a need for it RIGHT THAT MOMENT. These boot socks were made literally minutes before rushing out of the house. I really need some boot socks to go with this! Ok, so maybe that's exactly what happened. Anyway, these could be a lot cuter and nicer if you took your time with them. But they work for me and I've actually worn them a ton this winter! 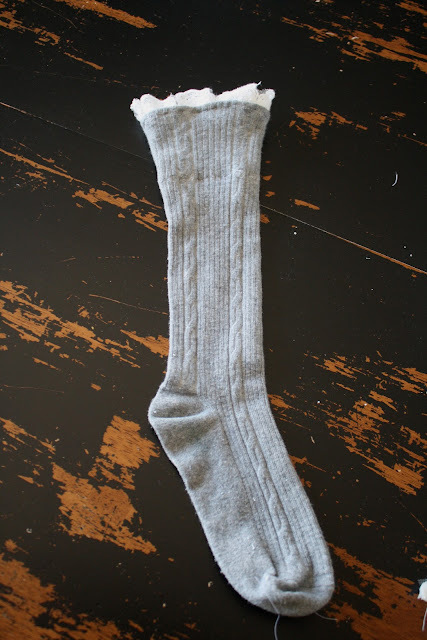 So, a staple for this craft would be tall socks. Which I did not have lying around. But I did have thick tights that never got worn. 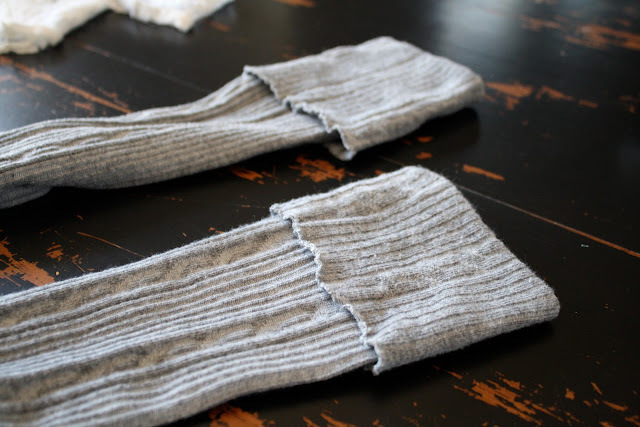 So first step, make socks out of tights. Put the tights on and figure out how tall you want the socks. 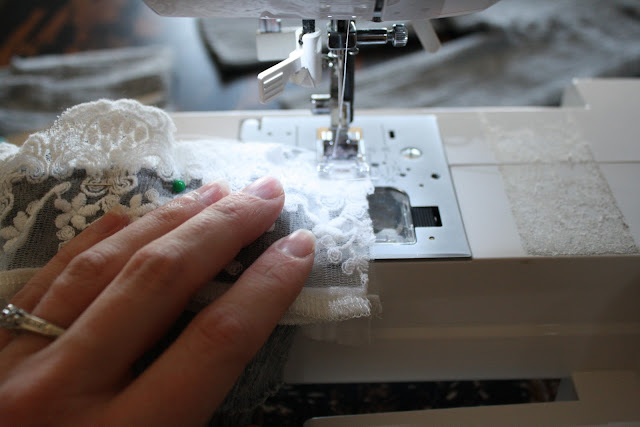 Add 1-2 inches extra for the seam. Keep the top part of the tights. so it looks like you're wearing tall socks. 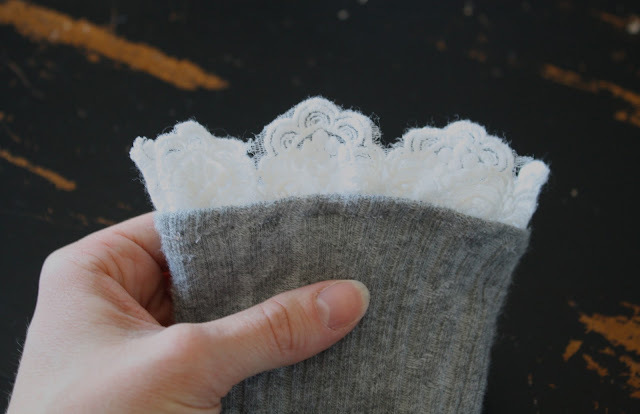 Pin on trim or ruffle how you want it to the inside of the sock. I saved this trim from a shirt that fell apart. I thought it was so pretty and couldn't part with it. Stitch the trim almost all the way around. When you get to the two ends of the trim, stitch them together. Then finish going around the sock. Again, this would be much cuter and nicer if you took your time. 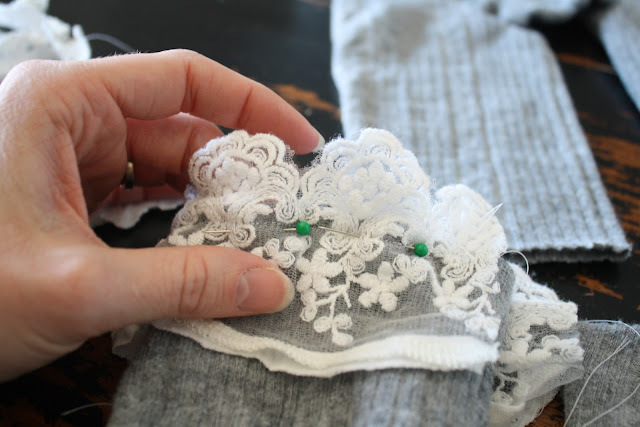 Stitch around the inside of the sock. Stitch another small piece to the outside and handstitch on a couple of buttons or beads. 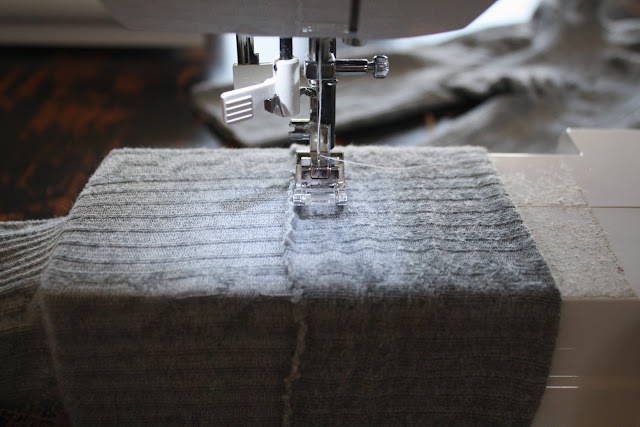 (use the rest of it to make a sweater pillow!). amazing idea!! i'm stealing the sweater one.